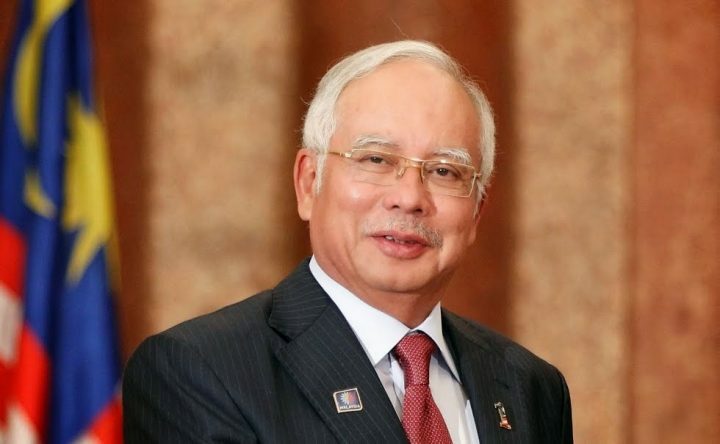 Malaysian police said on Friday that cash worth 114 million ringgit (28.6 million dollars) and over 400 luxury handbags were seized from several apartments as part of an anti-graft probe into a state fund founded by former premier Najib Razak. Najib’s home, and the apartments of a son, and a daughter were among a dozen properties searched since May 18, Amar Singh, the head of commercial crime division, told a news conference. Since his defeat in an election on May 9, Najib has been barred from leaving the country by the new government, which has reopened an investigation into billions of dollars missing from 1Malaysia Development Berhad (1MDB). At one empty apartment, officers found 35 bags stuffed with cash valued at 114 million ringgit. The banknotes were in 26 currencies, though the largest amounts were in ringgit and Singapore dollars. “We have sat together with bank officials to tally and estimate the total cash seized,” Singh said. Singh said the empty apartment in Pavillion Residences, in the Bukit Bintang neighborhood of Kuala Lumpur, did not belong to any of Najib’s family members. He declined to name the owner. Police also found 284 boxes of handbags in the apartment, and a further 150 handbags were seized from the home of Najib’s daughter, Nooryana Najwa, along with various shoes, including baby shoes.Singh said most of the bags appeared to be a Hermes brand. “We have had discussions with Hermes, and we will take pictures and send them to Paris to verify their authenticity and their value,” Singh said. Nooryana, better known as Gina, married a nephew of Kazakhstan President Nursultan Nazarbayev’s three years ago. Singh did not say what was found at the home of Najib’s son Ashman. Experts were being brought in to value the jewelry, watches and other luxury items seized during the raid. Singh said half a million ringgit, excluding foreign currency, was found at Najib’s home. Najib concluded giving a statement to anti-graft agents on Thursday that was related to transactions of 10.6 million dollars into his bank account that investigators had traced to a former unit of 1MDB. Najib, who led the country for almost a decade, has consistently denied any wrongdoing, having explained three years ago that 680 million dollars transferred into his account had been a donation from an unnamed Saudi royal. The new government pledged on Friday to honor all payments on debt arising from 1MDB. It has estimated that government guarantees covered 38 billion ringgit (9.54 billion dolars) of 1MDB’s debt at the end of 2017. “We will honor those even though we are not happy with 1MDB, but we have to honor our international obligations,” Finance Minister Lim Guan Eng said. “I think this will reassure the markets that this government knows what it is doing”. Late on Thursday, Najib’s defeated United Malays National Organisation (UMNO) asked police to return to the party money seized during the raids, describing it as campaign contributions and party funding left over after the election. UMNO said the funds were in the process of being transferred to the party’s new leadership when they were seized. “As such, UMNO seeks to recover these funds and requests the police to release these funds and return them to the party after completion of all due process and investigations by the relevant authorities,” the party said. Out of power for the first time since independence six decades ago, UMNO said it needed the money to recover from its defeat. “UMNO is in the process of rebuilding and the return of our party funds will help in this process,” the statement said. Najib quit as president of UMNO a day after the election, and was replaced by his deputy Ahmad Hamidi. The new government is led by 92-year-old Mahathir Mohamad, a former prime minister and UMNO leader who joined the opposition to defeat his erstwhile protege after becoming convinced of his corruption. UMNO has long been known for its ‘money politics’, as the party has built its support among ethnic Malays through a system of patronage.